CHIREC is now proud to have 3500+ students across all the campuses, with outstanding reviews from the students of CHIREC, parents and visitor guest. CHIREC School is special for me. The innovative practices like Library on the Wheels, Recording Studios and the successful launch of the Octocopter recently, proves the progressive thinking of the school. With such kind of a support mechanism, the students will be able to dream – to dream big, to dream different and they will put in their all to make the dreams happen. Ever since our daughters joined CHIREC, they have never wanted to miss a day of school, a true yardstick of how enjoyable school has been! The school has given them a nurturing and supportive environment in which to learn, grow and blossom into responsible citizens. CHIREC has effectively combined academics with extracurricular activities, allowing children to discover their talents and strengths through a variety of learning experiences. 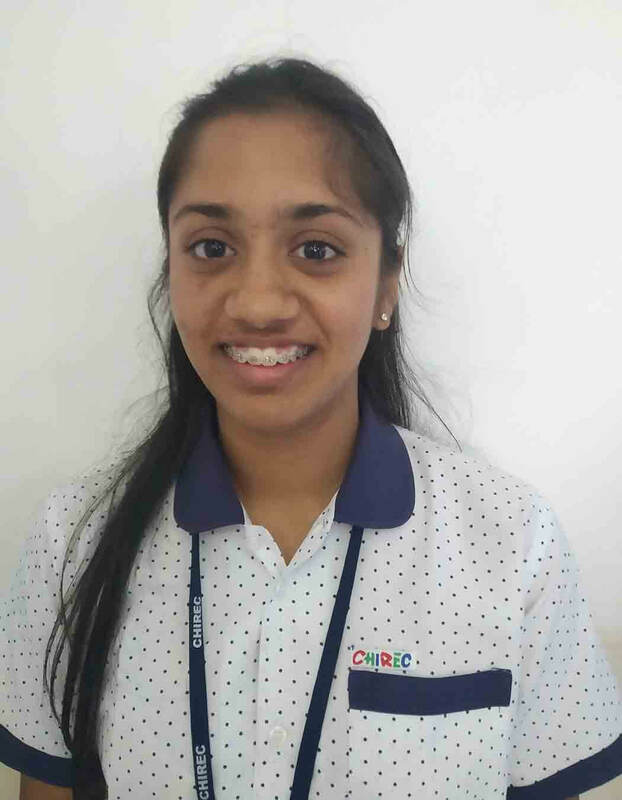 As our elder daughter reaches the final year of her educational journey at CHIREC, we are immensely grateful to the teachers, management and staff of CHIREC, who have all played a significant role in her life. CHIREC excels because it has a diverse student body, and an administration committed to cutting-edge teaching and learning, be it technology in the classroom or teacher training in student-centred, active-learning methods. I see CHIREC as a truly global school poised to soar to even greater heights. CHIREC teaches children how to think, not what to think. CHIREC educates the heart as well as the mind. After every accomplishment, after every success, after every award, let the lingering questions be – What next? What more? What else? Wishing you success for the future. Keep scaling to new heights. I like CHIREC because the student’s year is well planned out with focus not just on education alone, but also on personal growth. I appreciate the fact that all decisions are taken keeping the interest of the students in mind, even if some of the decisions are not popular with parents or students. It is this combination of ‘experience in knowing what is right for the students’ and ‘good discipline’ that gives me the confidence that my child is in good hands. CHIREC has been a source of joy in our daughter’s learning journey. I have seen the school constantly re-invent itself and rise above numerous challenges to provide an excellent educational platform for students. We especially like the down-to-earth approach in molding the child’s learning experience outside the home. Keep up the great work! The school understands that a child’s learning does not end in the classroom. The time tested systems ensure that the child is exposed to various activities and integrate their experiences holistically. Being part of the CHIREC family is a joy! Congratulations CHIREC, for your achievement! I am instantly reminded of the following quote by Dr. Jonas Salk, the physician who discovered the Eponymous Vaccine for Polio – “Good parents give their children Roots and Wings. Roots to know where home is, wings to fly away and exercise what’s been taught them.” This is exactly what CHIREC has done for my kids… it has given them roots and wings! Today, as the proud mother of an intelligent, compassionate and grounded young girl, I give all credit to CHIREC for being as involved in raising my daughter as I have been. Extremely impressed and humbled by the faculty and students. Very proud to be a parent too! 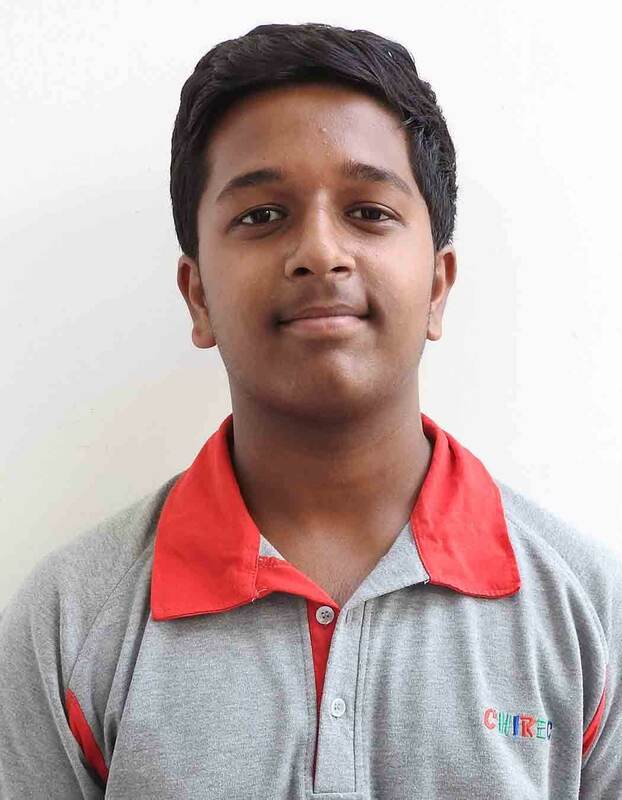 CHIREC has been instrumental in grooming my son, V. Sri Krishna Vardhan, into an intellectually outstanding student. 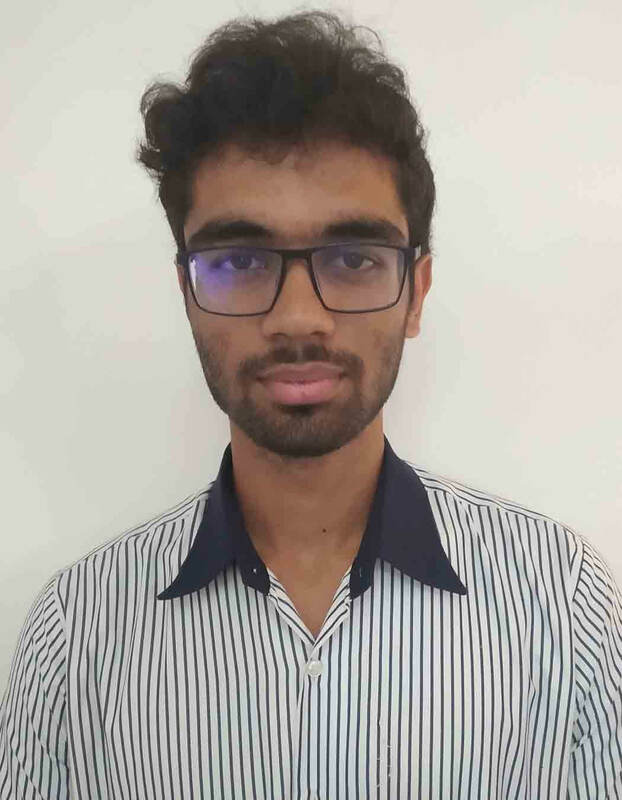 He is pursuing his graduate engineering in the Civil Engineering stream from the Georgia Institute of Technology, Atlanta, USA (Georgia Tech) and has been selected for Masters in Project Management, Civil Engineering at University of California at Berkeley, CA, USA and Stanford University, CA , USA. I thank the school for educating my son to enable him to achieve this position. 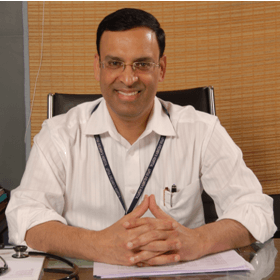 Chief Executive Officer, Lotus Hospital for Women & Children, Hyderabad. We are in awe of the safety measures at CHIREC. We know that once? Pratiti? is on campus, she is completely secure and in safe hands. The provisions of pick up permit cards, always being escorted by teachers and management of vehicular movement is excellent. We also appreciate the overall curriculum design of the school. It provides a very balanced growth of the child in all the areas, whether it’s speaking on the stage, communication with peers and adults, life skills, team work attributes or academics. The teachers are very innovative, enthusiastic and affectionate. CHIREC has helped shape my child into a confident and balanced person. CHIREC offers a comprehensive curriculum that focuses on all areas of development, may it be academics, life skills, communication skills or anything else that is needed to make the perfect individual who is capable of handling different situations in life. The regular teacher parent interaction helps in getting a timely feedback on my child. I admire the sports friendly campus and the way CHIREC develops the sports front of each student. The ability to move with the times is what makes CHIREC stand out. Great teachers, attention to detail and individual focus on every student is what makes the school so special. I would like to thank the school for its role in shaping my son and giving him the right foundation. 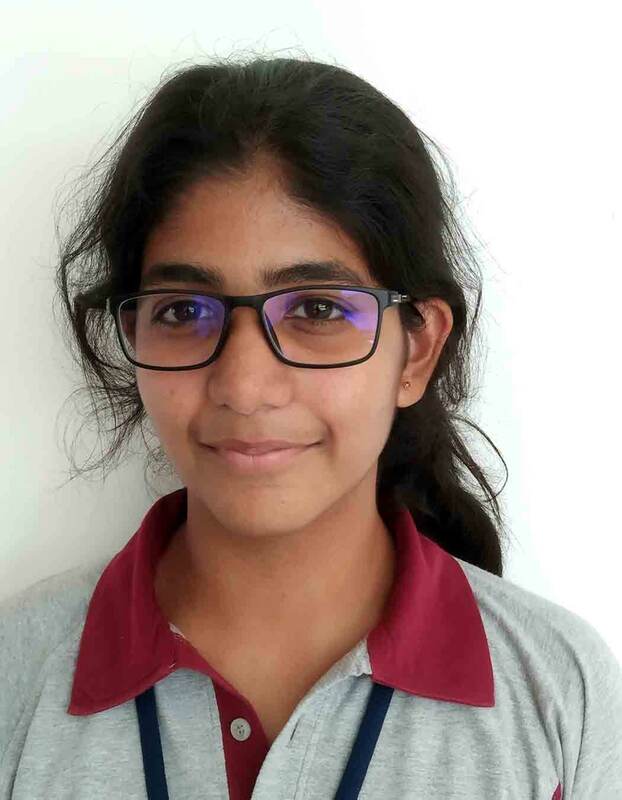 I wanted to send a special THANK YOU note to Ms Anju, the class teacher for her contribution towards Aryav success in Olympiads Exam, IAIS, and Sakshi Spell Bee, NSTSE. He has become very disciplined and careful about his studies and other things this year. Mam , you coached him on the fact that he makes silly mistakes. These small things go a long way in shaping a kid’s foundation and I thank you for that. He is still very young and he has a long way to go but I hope he keeps getting wonderful teachers who show him the right path. As every parent would with their first child, even I was quite anxious about my son to get good teachers and a great environment away from home. My sons 4th year in CHIREC (Nursery to Class 1) and i couldn’t be happier. Fantastic campus, great teachers and exemplary service for any query i have ever had, has just made my belief stronger in CHIREC. It has taught my son almost everything that he knows today and made him a great individual and i am very proud of him for what he is today. Applause to each and everyone at CHIREC from Admin staff to Teachers to not to forget Aymamma’s, i am a very happy parent! I have thoroughly enjoyed studying the CIE A Level curriculum in CHIREC International. Over the part of two years of the course, I have developed an in-depth subject knowledge and relevant exam techniques, with the help of my teachers. I really like the fact that the curriculum has given me enough time aside from academics to pursue my extracurricular activities, in particular music, as it is a big part of my life. I am a part of the school rock band and interact service group and CHIREC has supported me a lot in both these fronts. We are pushed to give our best in all the extracurricular activities we take up. I have been in this school since PP2 and there is nothing that I love than spending time with my friends, teachers, learning something new every day and playing sports. Best quality about CHIREC is that it is provides a perfect combination of academics, sports and art. Every teacher in the school has taught me to do better in every single field. I have been in CHIREC since the beginning and I treat it as my second home. The positive environment of the school has inspired and made me confident to grow as an individual and follow my dreams. CHIREC has been my home for 14 years. It’s a place where I get a mix of academics, sports and other extracurricular activities. The teachers along with teaching well are like our mentors. We can go to them for advice and they support us through everything. The atmosphere at CHIREC is very positive and happy. CHIREC has literally changed the face of education in Hyderabad. I have observed students from CHIREC to be more creative in their thinking and understanding, especially after the Cambridge course has started. I noticed a wonderful personality change in the children of my friends ,who have taken up the course here. I hope that CHIREC would continue to contribute towards building capable leaders in the society. I congratulate you Ratna Garu on your achievements– you have received a brilliant International award in 2014 and you are one the three women in India to have received this award. Ratna Ma’am I am very proud of you! “An honour to be present today in this temple of knowlege, with whom my association goes back to many years. Do hope they keep their good work going in imparting quality education to the future citizens fo our country to make them productive patners in our country’s growth as wll as good citizen of a great nation”. “One of the best school I have visited”. ” Exceptional school, great teaching and outstanding values are imparted”. Congratulations on celebrating your silver anniversary! 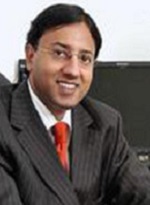 The U.S. Consulate General Hyderabad looks forward to continuing its collaboration with CHIREC. “Impressive campus definitely but more impressive and humbling is the Director and team”. ” A wonderful experience indeed. Am definetely impressed by the commitment and enthusiam of the management for all round development of students. All the best to everyone associated with the school”. Let Music always enrich your Life. CHIREC has and will always provide the environment and learning facilities for Music. Happy Musical Birthday CHIREC ! Three of my boys have been from CHIREC proud of them all. Thank you for being the parents during the day. Best Experience, thought as if I would have studied here. Thanks for all. I was privileged to be apart of the final ceremony of creative writing! Great effort. CHIREC has been a great place for both my kids and I m sure they cherish every day spent there. Wish Ratna all the success in everything she takes on as she truly deserves it. Thank you Madam for such a wonderful graduation ceremony for the kids and us the parents, a very thoughtful initiative. Congratulations on the outstanding products in the students and the platforms created for them by encouraging their talents parallelly. May God bless you to keep up this good work of making wonderful citizens from children always. “Great campus but the actual stars are the faculty and the students. Had a wonderful time shooting here. What an impressive school and faculty”! An excellent school with emphasis an overall development of the personality of students. “Delighted to be at CHIREC first visit Ashna s GCC program drew to this visit. 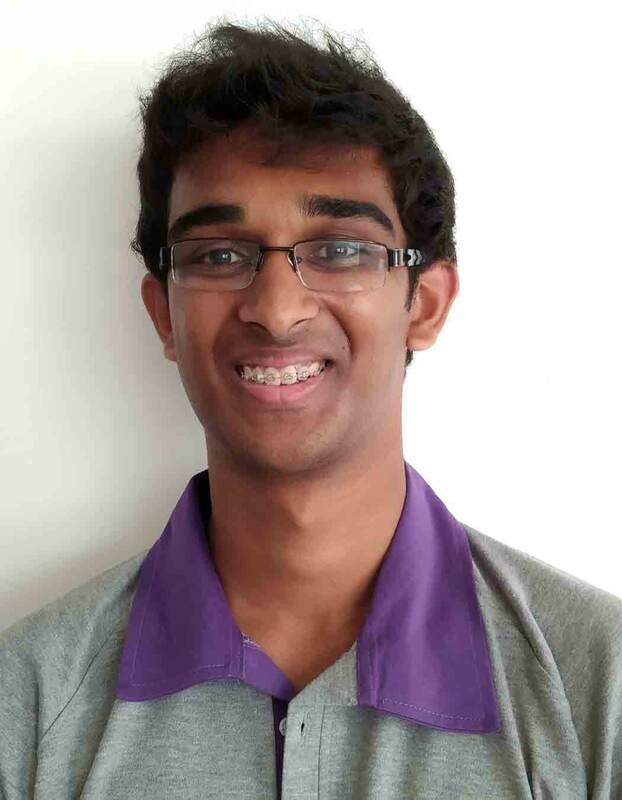 It is great to see alumni coming back to contribute further to the school”. “I don’t know how much my small interaction with the students helped them, but their probing questions helped me look at my work in a different perspective. I whole heartedly thank the CHIREC school for the enriching experience”. 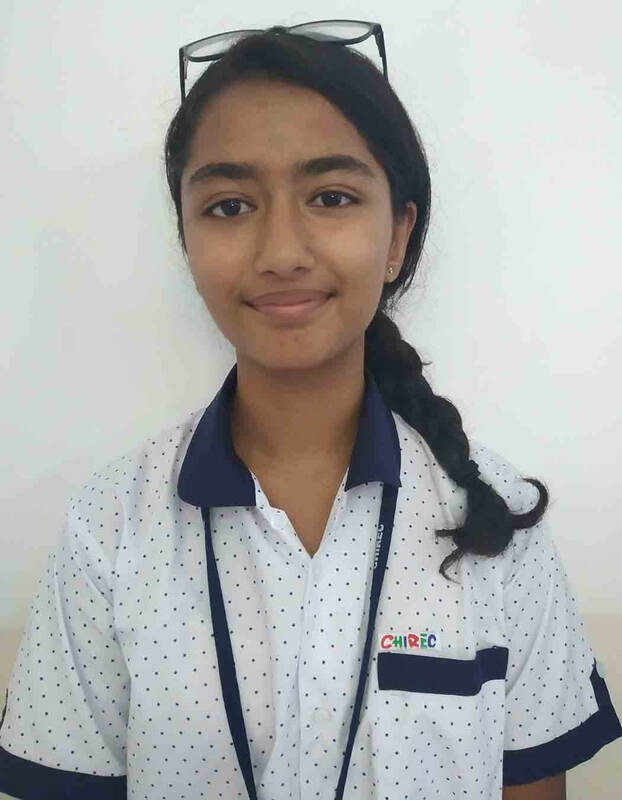 “I think CHIREC has the correct blend of academics and other activities which go to make a well balanced and all rounded personality! Keep up the good work! ” What a school! An incredible week! I was overwhelmed the kindness, enthusiasm and generiosity of spirit. It was pure pleasure to work with the teachers. I’ll have such fond memories of my time here! “An excellent school not only space wise but the warmth from the Rathnaji and other staff members is something so rare to come across. I thoroughly enjoyed talking and interacting with the students from 6th to 12th standard. I had avery interesting time. My prayers for your school will always be there. “I was at the GCC program. I am extremely appreciative of this initiative. It covers several things which are imperatives for India Gender Diversity, Technology for social change and high quality education. Congratulations to CHIREC and Wish them all the best”! Your contribution to children education in and around Hyderabad was outstanding. You created a world class school and led children from dark into light of knowledge and learning. Congratulation on completing 25 years and we wish you many more years of success. It is always such a pleasure to visit and see the wonderful work of CHIREC.